Thank you for visiting our storefront on Equiprent.com! We have been leaders in the aerial & forklift industry since 1981. We aim to deliver quality machines at extremely competitive prices. 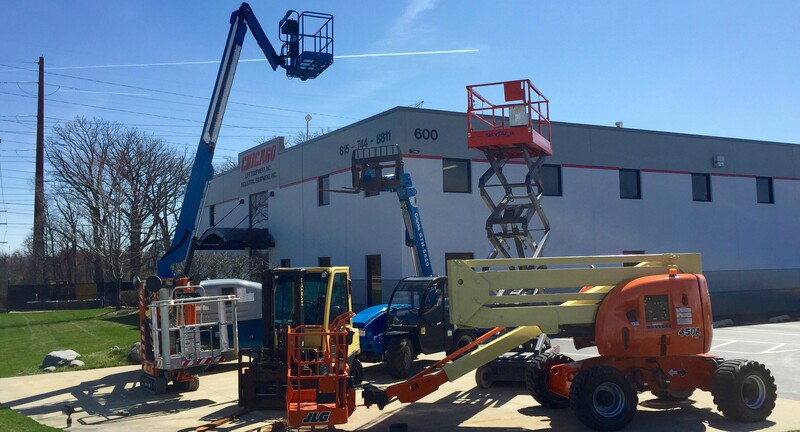 We are not brokers, all of our machines are stocked on our 10 acre yard or in our 50,000 square foot showroom, making us the largest aerial lift equipment & forklift dealer in the Midwest. We carry the top brands of boom lifts, scissor lifts, telehandlers, dirt equipment, forklifts, accessories and more! We look forward to providing you with the right machine you're searching for. Please message us with any questions through our storefront page or any product page. We purchased a forklift from Justin & Nate this summer. When we had a problem, they took care of it immediately. They offer excellent work, speedy service, and are great to deal with. Thanks so much!